Did you watch "The Wind Rises"? Onegai Kaeru team watched it and enjoyed it. The taste is a bit different from previous Hayao Miyazaki's movies. As the storyline based on more or less the real people and events. The excitement of Ghibli fans do not stop here this year. 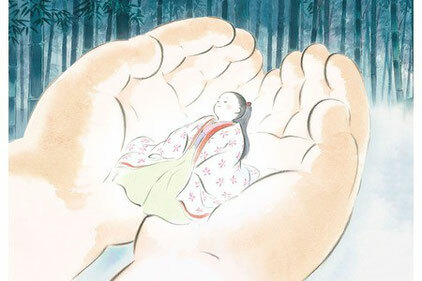 Hayao Miyazaki's counterpart Isao Takahata's movie is coming on 23rd of November, 2013. 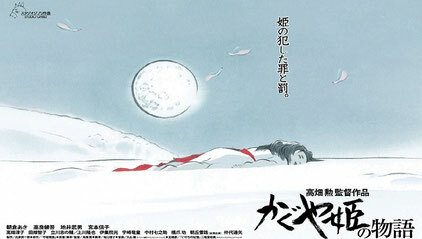 The movie is called "The Story of Princess Kaguya ( Kaguya-hime no Monogatari, かぐや姫の物語" . The story is based on the Tale of Bamboo Cutter which is very old yet with the hind of Science Fiction. One of the mysterious old stories in Japan. The preview (Free) is on 8th of November, 2013 at Yomiuri Hall, Yurakucho, Tokyo. You can apply to win the ticket of this preview via several ways as below. We feel a bit special about Isao Takahata because we met him twice in person. He was a very soft spoken person and very kind. Where to buy Kimono? For gift, Kimono can be one good idea as it can be worn like a traditional way and also as jacket or so like a modern way. What is Kimono? The brief introduction to Kimono in Japan. Looking for something really traditional from Japan? Find out about Yosegi arts. How to wash Kimono? Now easy to wash Kimono by yourself. We have a cleaning facility in Japan to help you with Kimono washing. Where to rent Kimono? We offer kimono rental suited for your party, wedding or so.